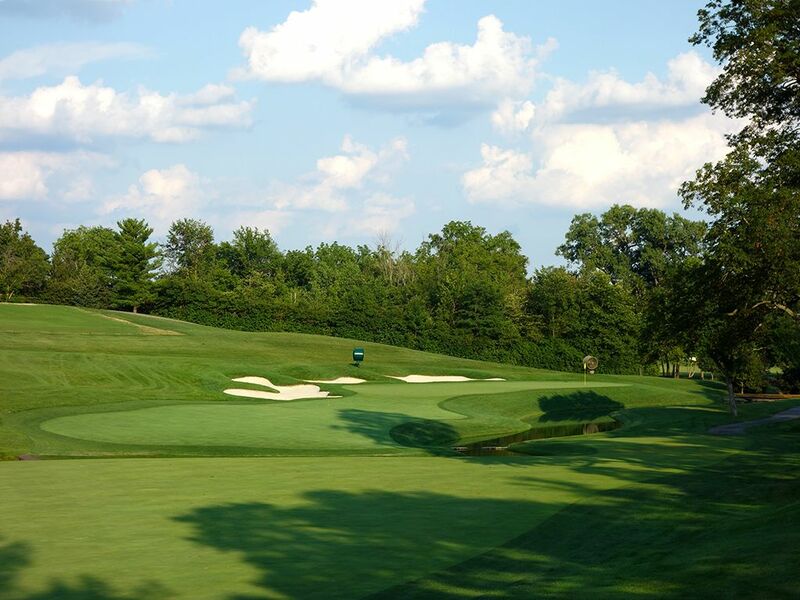 Course Website: Official Website - Visit Muirfield Village Golf Club's official website by clicking on the link provided. 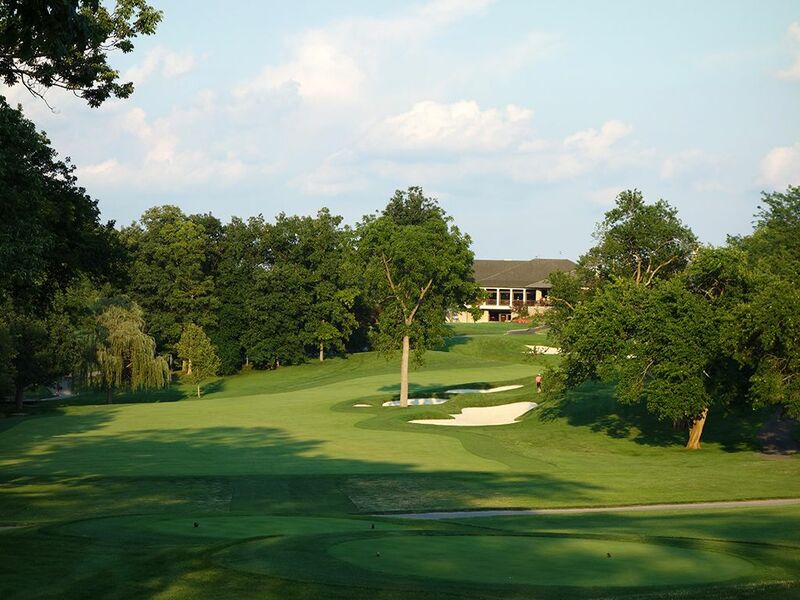 Accolades: Ranked 1st in Ohio on Golf Course Gurus' Best in State list. 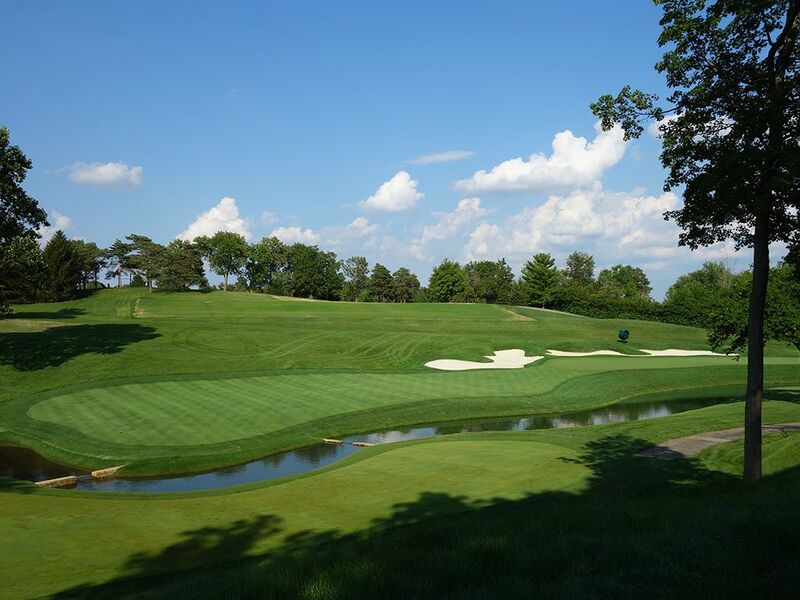 What to Expect: Like a fine wine, Muirfield Village gets better with age as Jack Nicklaus continues to tweak the course in an effort to perfect his legacy design with ideas driven by watching the pros play it year after year. 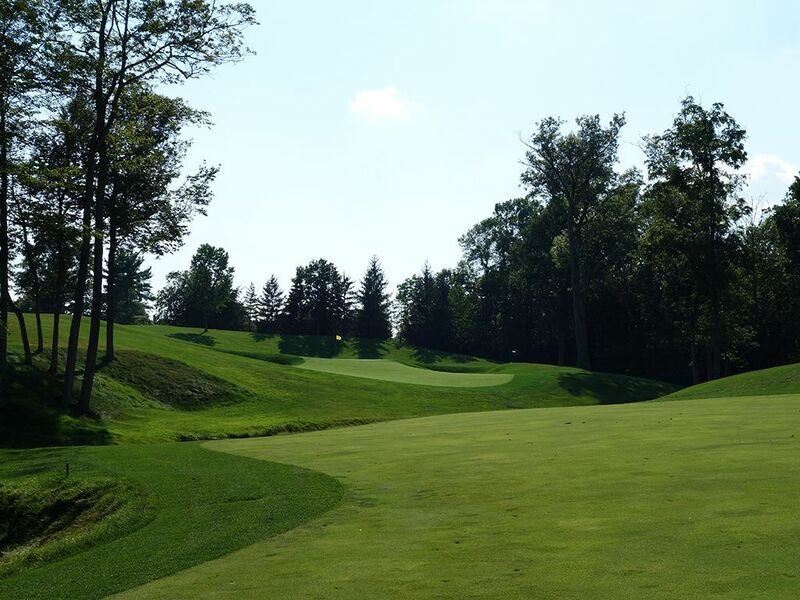 The course is characterized by engaging elevation changes, immaculate conditions, and a meandering creek that the holes were strategically formed around. The U.S. Open like rough and mature trees that frame each hole will teach you quickly to keep your ball in the fairway if you want any chance of scoring well on this course that can quickly bring a single digit golfer to his knees and make high handicappers want to give up the game all together. The back nine is the better of the two sides with superior terrain, excellent risk/reward holes, and a marvelous test of skill that is highly memorable. All of the par fives can be reached in two but there is little forgiveness in maneuvering them as water comes into play on the tee and approach shots on three out of four of them. Visually the course is quite appealing with a strong color contrast between the fairways and rough set against the white sand bunkers, earthy trees, and glistening water features. The Augusta National like turf is as healthy and perfectly manicured as it can be and is paired with precisely rolling greens that give you exactly what you deserve with your putting stroke. 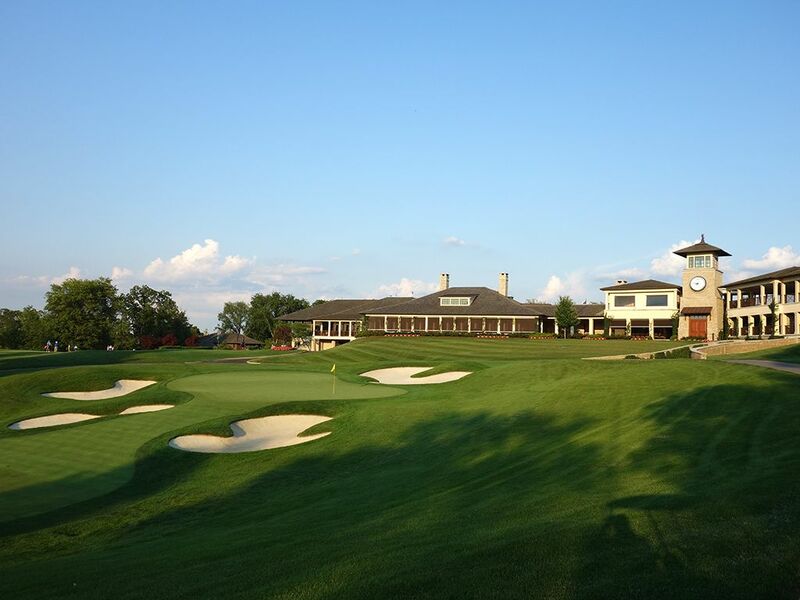 Muirfield Village is the quintessential shotmakers course that demands your attention and consideration on every shot yet is quick to fairly reward you when shots are properly executed. While many courses worthy of hosting championship golf at the highest level can lack compelling architectural features in an effort to deliver a test of skill devoid of elements that often bring character and entertainment to a course, Muirfield manages to formulate a brilliant blend of challenge, memorability, and architectural intrigue that results in one of the country's finest tracks. While it may not have been granted the distinction of being golf's fifth major, this PGA Tour stop that Jack hosts every May often features a leaderboard that is top heavy of the highest ranked golfers as it equally tests every facet of players' games. 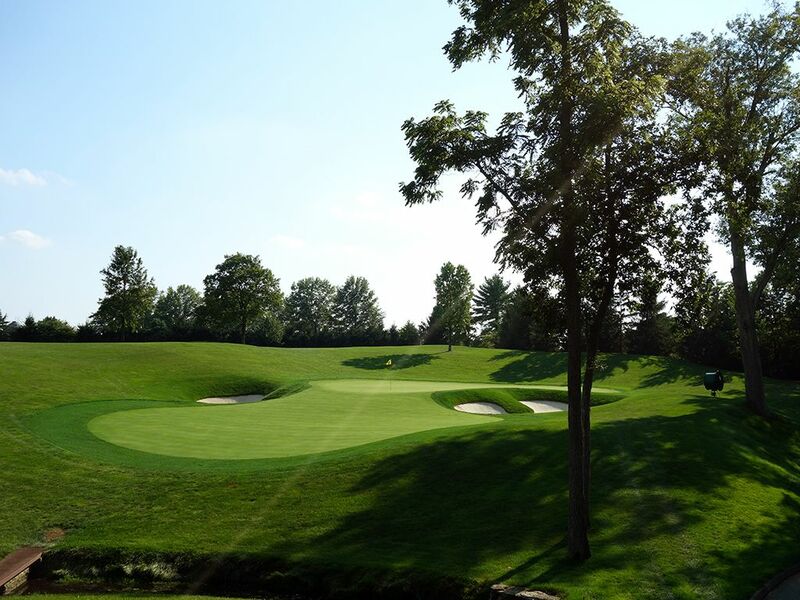 Signature Hole: 11th Hole – 567 Yard Par 5 – The iconic 11th hole at Muirfield Village is a brilliant design that entices players to take risks but is quick to punish poorly executed shots. 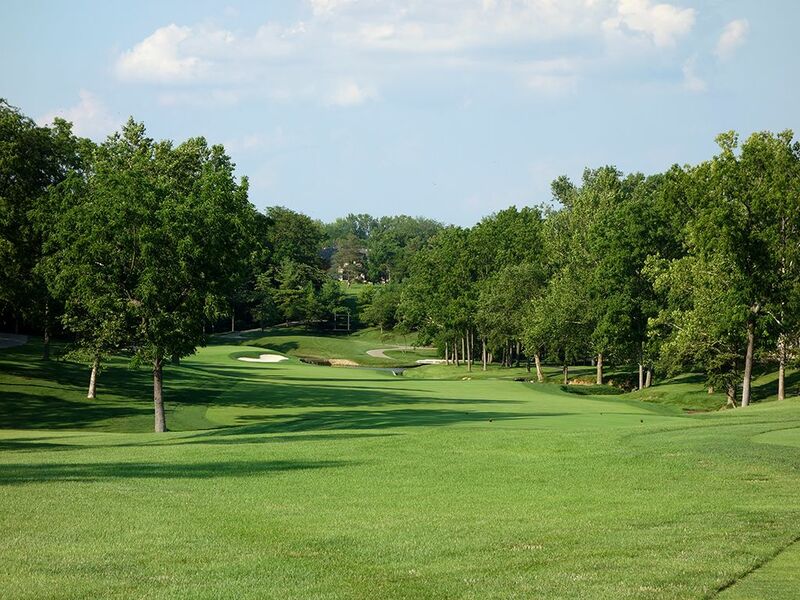 The fairway flows through a valley framed on the high sides by trees while a creek meanders throughout the hole. The creek laces the left side of the fairway before cutting across to the right side less than 200 yards from the green. 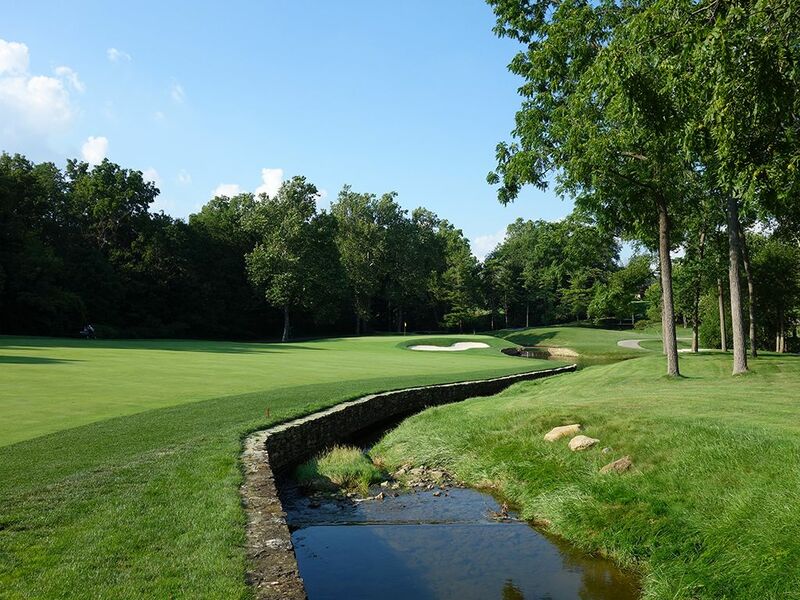 Not wanting to be forgotten, the creek cuts back across the hole right in front of the green to stand as one last obstacle to contend with when attacking the putting surface. While the downhill tee shot to an inviting fairway builds confidence to start the hole, everything tightens the closer to the end you get until it finishes at a small raised green that can make you pucker. It's a brilliant design and a pure joy to play. Best Par 3: 12th Hole – 184 Yards – This picturesque hole clearly inspired by Augusta's 12th, is a do or die one-shotter at its finest. Playing over water to a wide but very shallow green, the terrain around the putting surface pushes balls into the bunker in front and bunker to the rear so only precise execution will be rewarded. All round long this hole will sit in the player's mind with the excitement, and fear, that comes with such a high risk high reward shot. 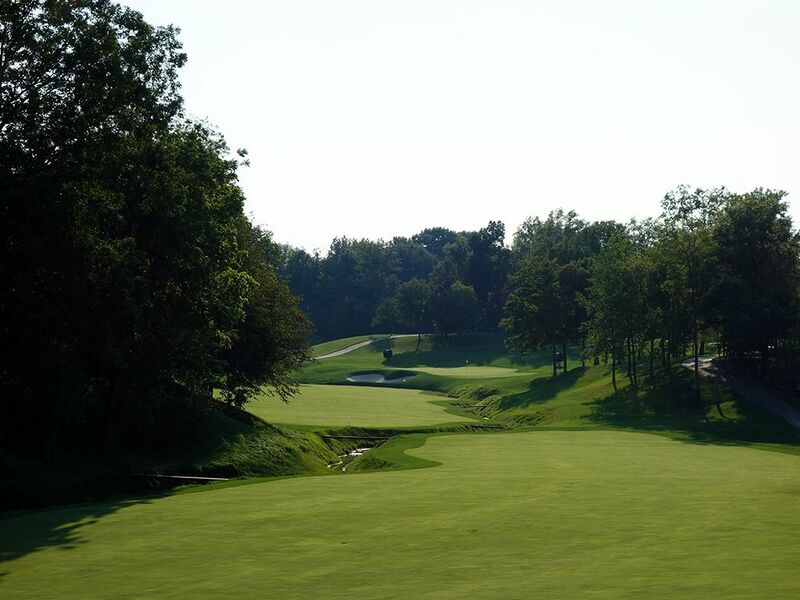 Best Par 4: 2nd Hole – 455 Yards – My favorite hole on the front nine is this quality two-shotter that features an exciting downhill shot enroute to trying to conquer one of the toughest tests at Muirfield Village. The entire right side of the fairway is flanked by a creek that terminates in a greenside pond. Hugging the left side of the fairway off the tee can shorten the hole but trees can quickly block your approach shot, so challenging the creek creates the best angle to the green. When attacking the putting surface, don't get greedy. Pars here are tough to nail down, as evidenced by it being the second toughest hole during the Memorial, so aim at the middle of the green and two putt your way to success. Best Par 5: 15th Hole – 529 Yards – Like Augusta National, reachable par fives highlight the back nine and the final one presents itself here. The creek comes into play again with the water carving its way up the left side of the hole before crossing back to the right and in front of the green. The tee shot plays uphill and must crest the hill to set up the best chance of reaching the green in two. 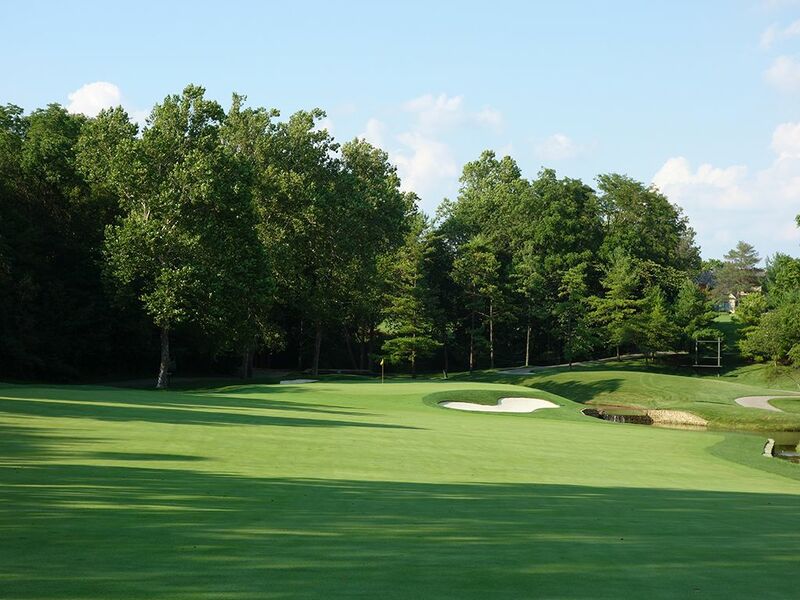 The raised putting surface is protected by a pair of bunkers up front to create a challenge to contend with, but as the easiest rated hole at the Memorial Tournament, the challenge isn't enough to deter players from attacking this hole with some confidence. Birdie Time: 14th Hole – 363 Yard Par 4 – A short hole that will take some patience and wisdom to walk away with a birdie on. 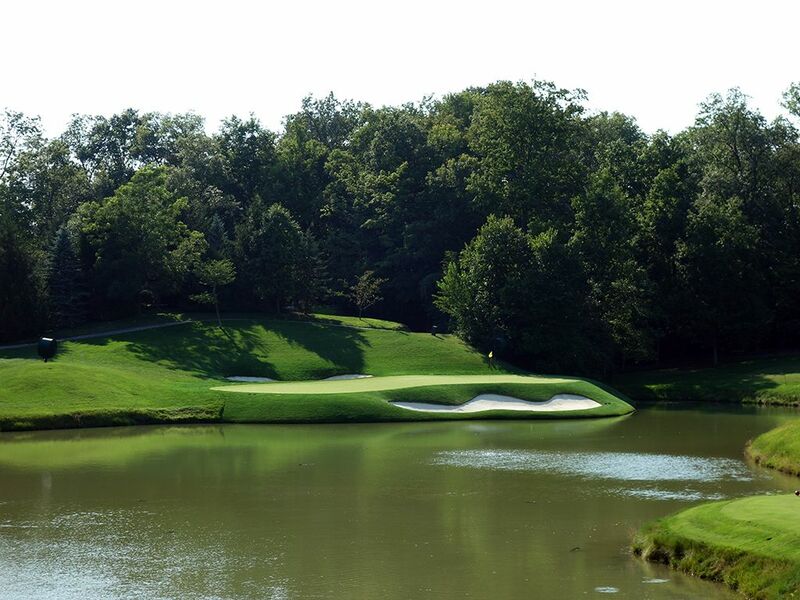 A creek comes into play from the left side and cuts across the fairway 270 yards from the back tee. The foolish player challenges the creek by trying to carry it up the left side to the fairway behind while the wise player hits a ball 20 yards short of the water and sets up an easy approach. The green is very long and narrow so accuracy and distance control comes at a premium, but with a wedge in your hand those traits can shine. Block out the bunkers left of the green and water on the right by taking dead aim at the flag and give yourself a birdie putt. Bogey Beware: 18th Hole – 484 Yard Par 4 – One of the finest finishing holes in championship golf awaits you as a spectacular round of golf comes to a conclusion. 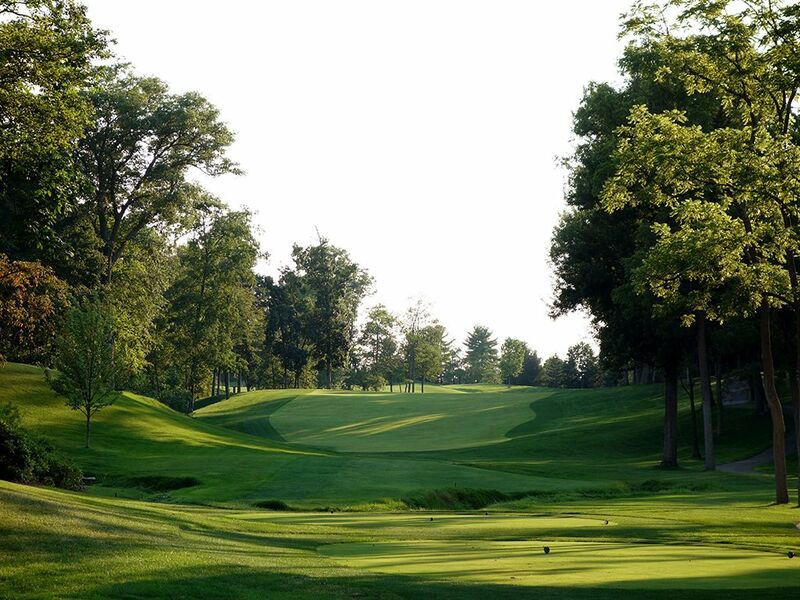 One of the brilliant aspects of the design at Muirfield Village is Jack Nicklaus' use of the creek throughout and it creeps back into play on the 18th where it is hidden in the trees on the left side. A daunting task, your downhill tee shot needs to thread up the middle and successfully miss the bunkers on the right as well as the trees and water on the left. From there the fairway bends to the right and climbs uphill to a heavily bunkered green while the sprawling clubhouse acts as an impressive background. The approach calls for a towering shot that can land lightly on the putting surface which is a lot to ask when coming in from over 200 yards which most players will be. 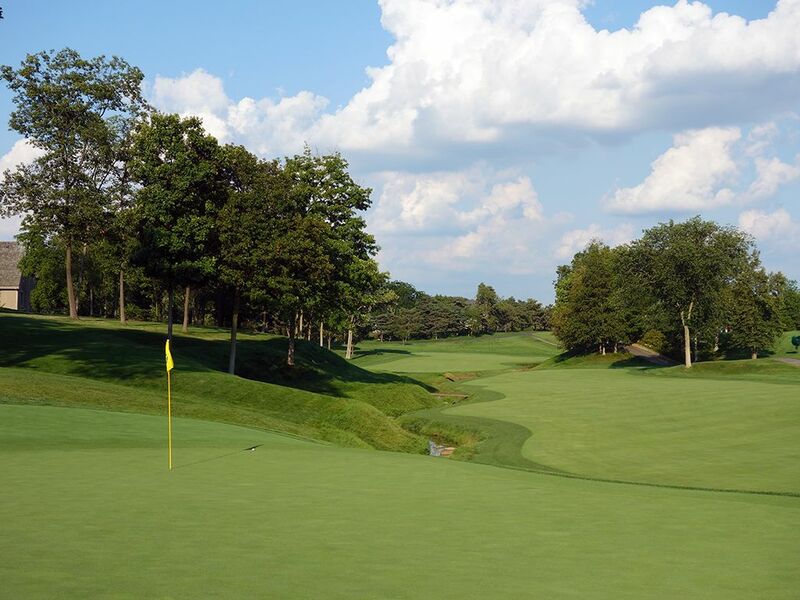 During the Memorial this hole plays as the most difficult as it rightly should; it is an extremely demanding finish to one of the best tests in golf and Jack's finest design.